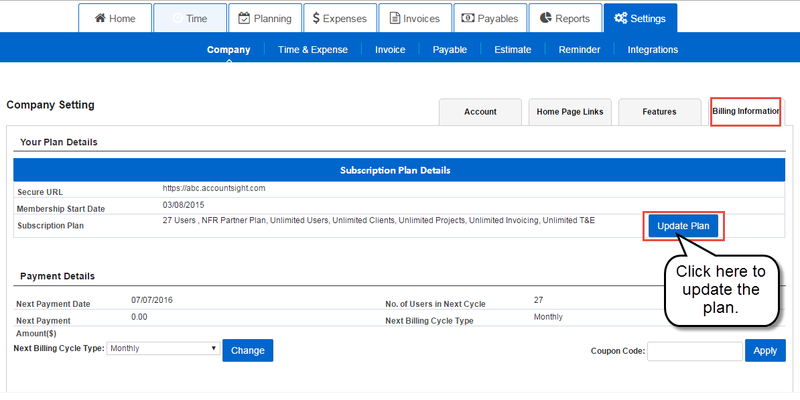 Administrator can update the number of users using AccountSIght. Admin is allowed to add new users anytime by configuring the required setting. 3] Click on Update No. of Users. 4] Choose a Plan among three available options: Basic, Small Group, Enterprise. 5] Enter the number of updated users.